For the past 30 years, Bernie Sanders has been making American political history and becoming a hero to the progressive left. Long before his groundbreaking election to the US Senate, Sanders dreamt of bringing radical social change to America. This vision was a driving force behind his eight years serving as mayor of Burlington, as well as his 1991 election as the first independent candidate in the House of Representatives. 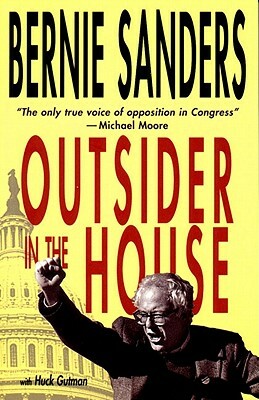 In Outsider in the House, Sanders tells the story of his remarkable career as a progressive socialist and outspoken dissident, using his experience to expose the bias and injustice within one of the worlds most powerful political systems. From his fight for a livable minimum wage, to campaigning on behalf of fair electoral politics, Sanders sheds light on his struggles with both the left and right. True to his renowned optimism, he concludes by making much-needed suggestions for tackling contemporary issues, an uplifting take on the potential for democracy to deliver political and social justice. <a href="http://sanders.senate.gov/">Bernie Sanders</a> was elected to the U.S. Senate in 2006 after serving 16 years in the House of Representatives. He is the longest serving independent member of Congress in American history. Early in his career, Sanders was director of the American People’s Historical Society. Elected Mayor of Burlington by 10 votes in 1981, he served four terms. Before his 1990 election as Vermont’s at-large member in Congress, Sanders lectured at the John F. Kennedy School of Government at Harvard and at Hamilton College in upstate New York.